Dagmar House with Alexandra House just visible to its north. Bull Stag Green is on the right, with The Wrestlers Bridge in the distance. In 1861, John Dare, a school-master from Bridgewater, Somerset, set up a young gentleman’s boarding school in adjoining houses Nos. 5 and 6 Spring Villas in French Horn Lane. In the 1870s, the school transferred to a site just south of the Wrestlers Bridge in the Great North Road. It became Dagmar House School. Around 1888, the school was taken over by John Raymond Sheehan-Dare, the adopted son of John Dare. Around 1882, Sheehan-Dare’s wife Caroline started her own school for young ladies at Walden House (now Morton House) in Fore Street. Sometime after 1901, this school became Alexandra House School in the building next door to Dagmar House. 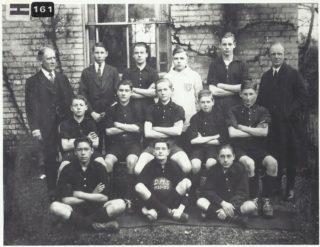 The two schools were collectively known as Hatfield Collegiate Schools. Each bedroom had its own fireplace and ventilator and, in cold weather, the heating was furnished by hot-water pipes. 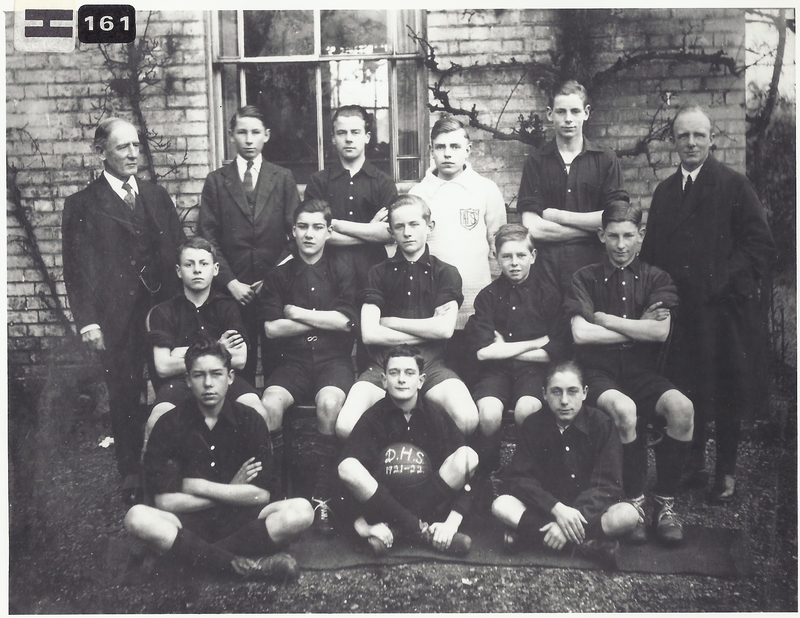 Both schools had their own separate isolation wards. Pupils were mostly boarders, the day pupils being very few in number. School milk was produced by the school’s own cows. John Raymond Sheehan-Dare was principal of both schools until around 1922-3 when he sold them to Messrs. T. W. Hearle and J. C. Prentice. At that time, the schools contained ninety boys and fifty girls of all ages. The schools closed in 1934. 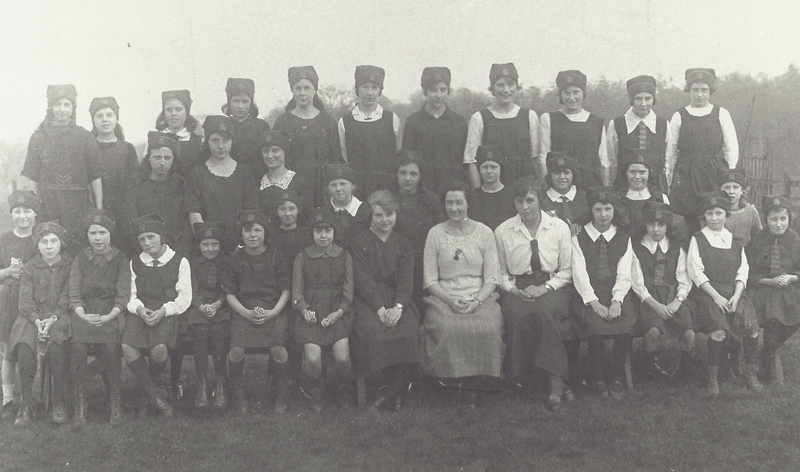 Alexandra House, with Miss Mary Thomas as principal, moved to Newtown House School, 66 St. Albans Road. The school buildings by the Wrestlers Bridge were demolished in 1963 to make way for office blocks. St. Etheldreda’s Church has a large memorial to twenty one men, former pupils of Dagmar House, who fell during World War I. NOTE: After writing the above, I came across a long article written by the late Frank Cox in 2011. Rather than try and merge the two, I have added Frank’s version in its entirety as a Comment below. It looks like we referred to the same sources (e.g. Hatfield and its People, recently republished by Hatfield Local History Society). In1861 John Dare a 29 year old school master from Bridgewater in Somerset set up a boarding school in adjoining houses Nos. 5 and 6 Spring Villas in French Horn Lane, Hatfield. He lived there with his wife Mary and a four year old adopted son, John Raymond Sheehan. He was a son of John Sheehan, master of the Herts Militia Band and Lavinia Sheehan. By 1871 the Dares had 24 boarding pupils aged between 7 and 16 hailing from such places as the East Indies, Illinois, USA and Astwick. During the 1870s small parcels of land were let to John Dare from Lord Salisbury’s estate on long leases, one for 90 years and another for 100 years. It is presumed that one or both were the site of Dagmar House There is no record of its construction in Hatfield House archives so it is believed that John Dare, not the estate was responsible for having the school built. It was completed by 1879. By1881 the Dares had moved with the school to Dagmar House on the Great North Road, Hatfield just south of the Wrestlers public house. 28 pupils were boarding at that time. On the 1st of March 1882 John Raymond Sheehan signed a deed evidencing a change of name and from then was known as Sheehan Dare. On the 11th April 1882 John Raymond Sheehan Dare married Caroline Lamb from Lincolnshire and they took over the tenancy of Walden House, Fore Street, Hatfield where Caroline started her school for young ladies. John Dare retired from teaching in 1890 at the age of 58 suffering cancer of the liver from which he died in April 1891. Upon his retirement he moved into Walden House and John Sheehan Dare transferred to Dagmar House as principal of the school. At this time there were 18 boarding pupils. Following the death of John Dare his widow continued with the young ladies’ school until it moved to Dagmar House about 1898 then to its own adjacent Alexandra House about two years later. Mrs. Dare died in 1907 but the tenancy of Walden House was retained by John Raymond Sheehan Dare until 1910 when Mr. F. Speaight renovated it and renamed it Morton House. Of the 37 boarders in 1901, four originated from the USA 2 from India and 19 from London. 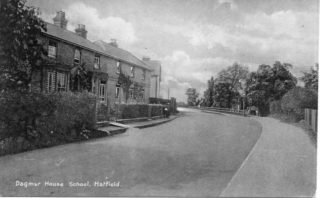 In 1902 the schools were designated as the Hatfield Collegiate Schools. In St. Etheldreda’s Church is a large memorial to 21 members of Dagmar House who died in the First World War. John Raymond Sheehan Dare sold the school in 1923 to Messrs. T. W. Hearle and J. C. Prentice. The local directory for Hatfield names Capt. 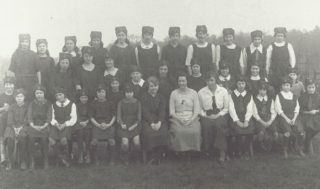 M. Ayton as the principal in 1933 but it closed in 1934 when Alexandra House School with Miss Mary Thomas as principal moved to Newtown House, 66 St. Albans Road, Hatfield.